Microsoft has not announced the public preview by this blog's publish date, but, please click this link to enable static website support in the portal. 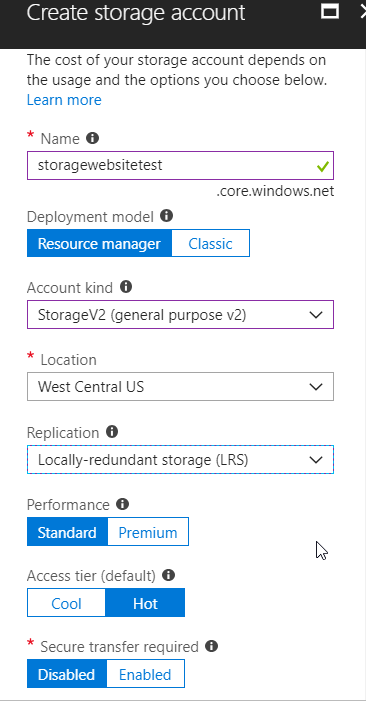 Create a new storage account and make sure to set the account kind to StorageV2 and the location to West Central US. After the Storage Account resource has been created, open up the storage account from the blade, which displays a Static website (preview) setting window. Click on the window and select Enabled, which brings up two text boxes to set the index document name and the error document path. The index document name is the default document that is selected when a user browses to the primary endpoint that was generated. The error document path is the 404 page. Fill in the file names that you plan to use and select Save. 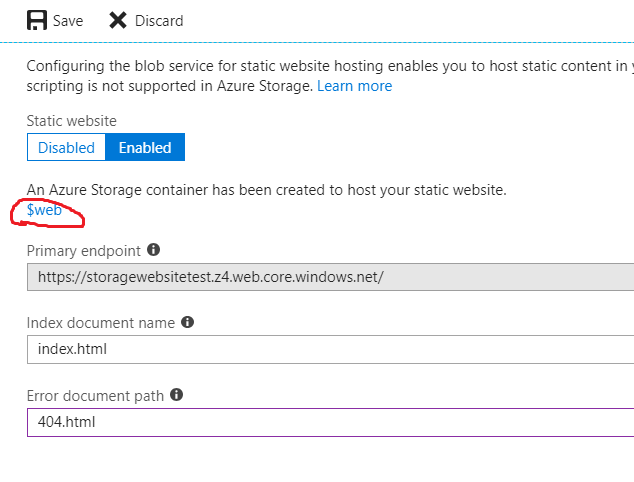 I noticed that I couldn't find the web container when using Azure Storage Explorer, but I could click the $web container and use the browser preview functionality to upload the index document name and error document files to the $web container. When I browsed to the primary endpoint URL, my default document was being used. I also tested out a 404 error, which worked as expected. You can download the html files from this repo.